is here for the Women of our World, WE hear YOU! Below is just one letter received by the grieving father of our very own WOMAN of ACTION – Courtney Leigh Hewitt who died unnecessarily of the JC Virus activated, misdiagnosed and allowed the time to ignite the viral brain disease named PML. Below, you will read the cry and pleas of one more victim to this horrific, under estimated, under appreciated and disregarded disease that is caused by a virus that has been proven to be carried by up to 85% of our global society. 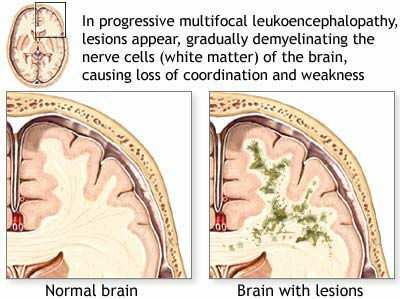 Progressive multifocal leukoencephalopathy (PML) is caused by the reactivation of a common virus in the central nervous system of immune-compromised individuals. Polyomavirus JC (often called JC virus) is carried by a majority of people and is harmless except among those with lowered immune defenses. The disease occurs, rarely, in organ transplant patients; people undergoing chronic corticosteroid or immunosuppressive therapy; and individuals with cancer, such as Hodgkin’s disease, lymphoma, and sarcoidosis. PML is most common among individuals with acquired immune deficiency syndrome (AIDS). Studies estimate that prior to effective antiretroviral therapy, as many as 5 percent of people with AIDS eventually developed PML. For them, the disease was most often rapidly fatal. With current HIV therapy, which effectively restores immune system function, as many as half of all HIV-PML patients survive, although they sometimes have an inflammatory reaction in the regions affected by PML. The symptoms of PML are the result of an infection that causes the loss of white matter (which is made up of myelin, a substance the surrounds and protects nerve fibers) in multiple areas of the brain. Without the protection of myelin, nerve signals can’t travel successfully from the brain to the rest of the body. Typical symptoms associated with PML are diverse, since they are related to the location and amount of damage in the brain, and evolve over the course of several days to several weeks. The most prominent symptoms are clumsiness; progressive weakness; and visual, speech, and sometimes, personality changes. The progression of deficits leads to life-threatening disability and death over weeks to months. A positive diagnosis of PML can be made on brain biopsy, or by combining observation of a progressive course of the disease, consistent white matter lesions visible on a magnetic resonance image (MRI) scan, and the detection of the JC virus in spinal fluid. Thank you so much for your response! Somehow, it makes me feel better to knowthere is someone who totally understands the devastation and heartache ourfamily is currently going thru. I was told today that she is being started onIVIG treatment. They put her on Heparin yesterday evening; and were hoping toremove the catheter from her neck (where she had the plasma exchange treatments), but said her blood was too thin right now to attempt that. Hopefully, they will get that adjusted and it can be removed. I know that my mother is in a battle for her life and as a family, we will do anything and everything possible to help her. With all the technology today,it is still baffling that we still have such little knowledge of some things. So, off my soap box!! Please feel free to share whatever I have said. I keep telling my mother thatshe could very possibly be the one that a treatment is going to cure and lookhow many other people she will be helping. The doctors keep telling her that they are learning from her. Thank you for all the continued prayers… I do believe in the power of prayerand the power of positive thinking. I will continue to pray to the Lord that He will bless my mother and heal her. Thank you again for taking the time to answer me. Sorry I get so “windy” in theemail…. a lot of stress, sadness, anger, and every emotion out there is within me right now. I know you understand. Thank you and bless you for all you have done and are doing to bring awarenessto this dreadful disease. What is PML? Read more here…. My Husband 42yrs old was diagnosed with JC Virus/PML October 2011… We were told we are the third patient in Western NY with this… So scary!! His body is strong, but he now has broken speech, can’t read or write or text, like he could 1 month ago!! He has had Plasma exchange, IVIG, and now his third Cidofovir treatment this week… 4 Spinal taps as of today!! So much to go through.. He was on Tysabri for 30months and felt the best he had in 11 years with MS, while on Tysabri, but now that has all changed in a matter of 60 days!!! My advice, If your on Tysabri, take a break as needed or recommended by your doctor… Please email me to share any thought, while we are going through this challenging time in our young familes lives. How is your husband? What treatment is prescribed? I just wanted to say hello and let you know you are not alone. PML has and is claiming more and more lives. Please take comfort in knowing that there are support groups and please feel free to reach out to me. God bless you and your family.